When purchasing used kegs, it's recommended that all 5 of the o-rings be replaced. This is especially true if the kegs previously held root beer as that flavour permeates the o-rings and is impossible to remove. These work on all kegs, ball lock or pin lock. Not sure if its just my pin locks or not, but I have been meaning to figure out what the difference in the o-rings is (the new ones I have now definitely are a tighter fit) and order a bunch off of amazon. Were the others that you were using on the pin lock also silicone? (They're purposely tight). Or were they rubber, meant for ball lock? I've tried both silicone and rubber ones. I'm not sure if there is actually a difference or not, as I have never had a ball lock keg, but I see some places sell "universal" ones and some places sell different ones for the two types of kegs. That and the fact that I have lost 2 batches of beer means that I now only use the ones that I know work. (It could however just be like a lucky penny, and the fact that I haven't lost a batch since I switched is just coincidence...). It's on my list of things to research that I never get around to. A buddy of mine down the road has ball locks and just replaced all his posts and o-rings, so maybe I will wander over, drink some of his beer, and compare o-rings. I recommend using red silicone o-rings instead of the black nitrile rubber (Buna N) o-rings that manufacturers normally use as silicone stays softer at lower temperatures so there's less chance of leaks. Thanks Kal, just ordered a pack of 100 each for my keg posts, and dip tubes. Thanks for posting, I used your links! Thanks John - it's appreciated! I have 100 packs for the keg posts and dip tubes as well. I don't have to replace them often so that's likely a lifetime supply. 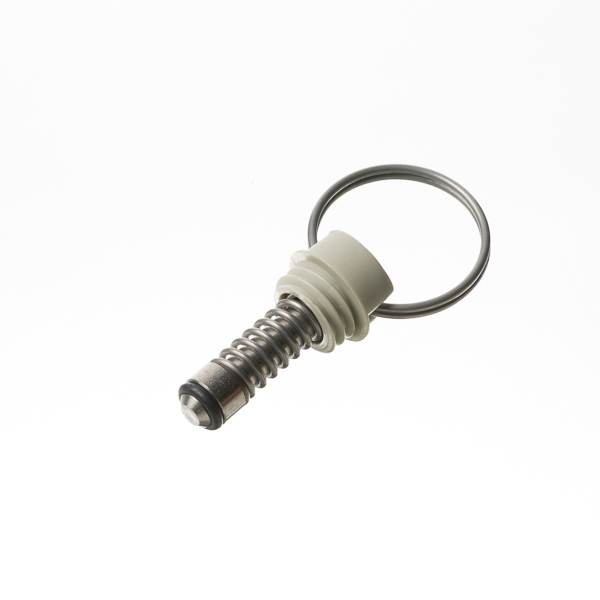 Do you ever replace the o-ring on the pressure relief valve? I have had a couple valves that leaked and had to replace the valve but If I can find the correct o-ring it would most likely take care of the problem. kal, i use the same 'old ale' kegs from adventures in homebrewing that you use. have you ever replaced the o-ring on the poppet valves? any idea on the size? after some $0.10 research, looks like the below will work? kal, i use the same 'old ale' kegs from adventures in homebrewing that you use. have you ever replaced the o-ring on the poppet valves? I have not. I don't know if the o-ring you linked to will work - sorry! I recently found out that not all Keg lid o-rings are the same. I had some problems with relatively new keg lids leaking - tried to replace the black o-rings with one's I got at my local brew supply store. But they were the same type and I still had leaks. I thought is was a problem with the lid itself. It wasn't until the other day when I visited a keg restoration facility in Cincy that I learned there are different o-ring materials available for kegs. They gave me softer black o-rings. I put them on and no-more leaks. So even with new kegs, there could be issues depending on the o-ring material used. Agreed - that's why the links to Amazon above are for the softer silicone ones, not the harder Buna N ones. (See my original post above). Cheers!